The winter season is upon us, and weather forecasts predict snow for tonight and the coming weekend. When driving with impaired road conditions, remember to drive safely, and keep in mind the most basic safety tip is don’t drive in snowy conditions. Wait for snow plows to clear and sand the roads before driving. If you absolutely need to drive in snowy conditions, keep in mind some of these tips. 1. Remember, all-wheel-drive and four-wheel-drive vehicles are still at risk of losing traction in the snow. Don’t let modern technology give you a false sense of security, as it’s still critical to keep in mind basic driving tips, regardless of what kind of vehicle you are driving in. 2. Give yourself at least three times more space for braking than what you normally would. 3. For best visibility, keep your windshield and lights clear and clean. If you’re scraping snow off your car, make sure to scrap the snow off your lights, as well as your windows and windshield. 4. Use low gears for better traction. 5. Remember, bridges are exposed to air both above and below; they’re not insulated by the soil like traditional roads, so bridges and overpasses freeze quicker than regular roads. 6. If you have anti-lock brakes, stomp on the brakes. You might hear a pulsing or grinding sound, this is normal. If you have standard brakes, use threshold braking: brake up to the point before your tires lose traction. If you do lose traction with standard brakes, ease off the brakes until you regain traction. 7. Steer gently. 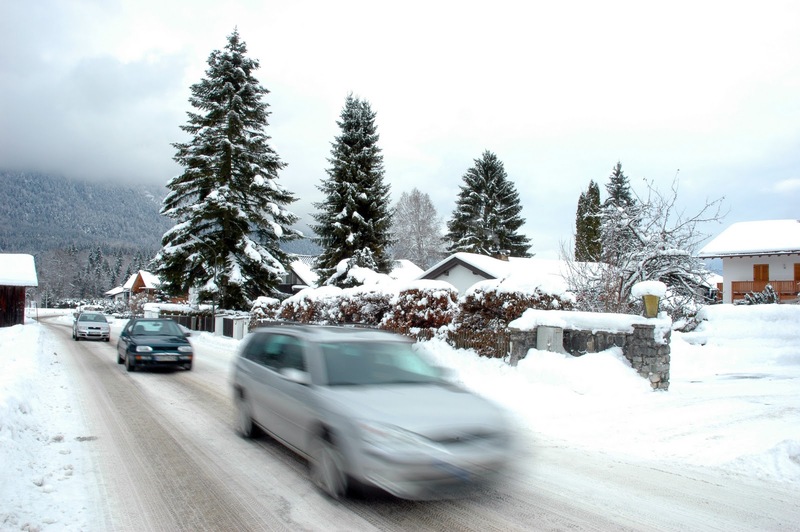 Remember, turning quickly while in icy conditions increases the likelihood that your front tires will lose traction. 8. If you get stuck, don’t spin your tires, as this will only dig your car in deeper. Instead, try clearing the snow from the tires, or placing sand, gravel, kitty litter, or some form of traction under the path of the tires, or try rocking the car. In the coming winter months, remember to drive safely! If you do need to report a claim, check our report a claim section on our website, or call us at 508-540-2400.